What a great way to spend a cold windy day…listening to Patty Clayton! What a treat! Her new CD “Dancin’ In Denver” has a wonderful variety of music. From the opening song, “Let’s Dance” (Patty Clayton) to “Heart Beats For The Boogie” (same writer) you are entertained! Great banjo pickers along with all the other talented musicians, dance music, Hawaiian Music…you’ll love it all! I guess I never associated Hawaii with Western music…but you can’t get much further west…can you??? Between the first song and the last one you will hear: “Black Hay,” “Arizona Moonlight,” “Dancin’ In Denver,” “Your Saddle Is Empty Old Pal,” (As recorded by the Stanley Brothers) “Pa’U Riders,” “Lookin’ Glass” (Marvin O’Dell), “Wanda Walker” (with Les Buffham), “Cowboy Hula” (Sam Kamaipelekane), “Montana Cowboy” (Ray Park). “Joining Patty in the dance” were Ernie Martinez, John Bubb, Linda Erickson, Johnny Neill, Lesley Kline, John Magnie, Daniel Jones, Rich O’Brien, Hannah Alkire, Stuart Yoshida, Neil Javerstick, Mary Sribling, Sarah Lincoln, Butch Hause. What a group of musicians! You NEED to have this CD in your library. 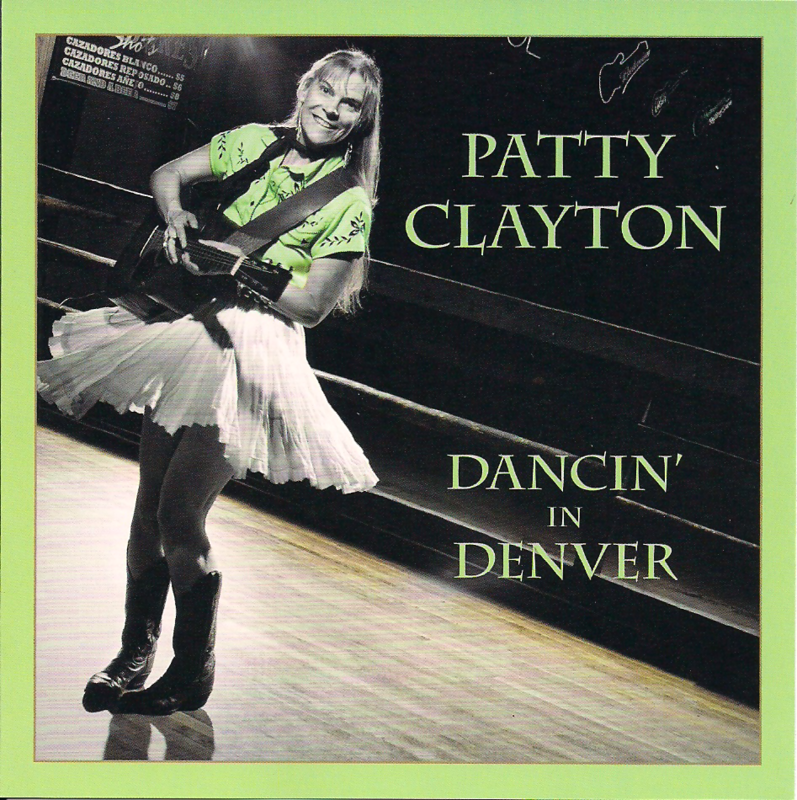 You can order this CD and find out about others that you don’t have at http://PattyClayton.com Do it today!